With a title of Philharmonics, you expect something that would be performed in a hushed concert hall amongst the sort of crowd that is most definitely anti SXSW. 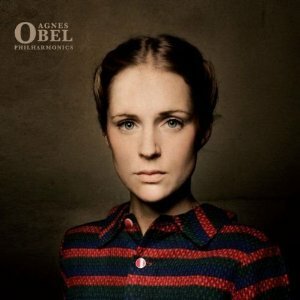 But while the music is indeed classically inspired and somber enough to merit such a venue, Agnes Obel played her debut album at SXSW to an enthusiastic crowd. The Danish chanteuse plays the piano herself, and with the exception of Close Watch (John Cale) wrote every song on the album. Now you might be expecting something that you listen to only as last resort to help you sleep off a hangover-so wrong. The lyrics will haunt you; delicately delivered tales of death in the title song (“as the water took him over, filled his lungs inside out”) or lust for adventure (or just lust) “Beast” (“let’s go tonight, let the beast run a mile”). Instrumental pieces let you have a mini movie in your head, imagining what things you will. The quiet, halting “Wallflower” indeed does evoke feelings of longing, sorrow and hope all in a brief 1:55. If you like your music spare and lovely (think Yael Naim or Marketa Irglova) you will adore this album.